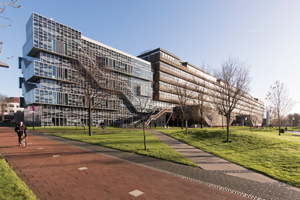 The Delft-based Centre for Technical Geoscience is a national research school. Please find on this site information about the organization, the research programmes and the available courses. The development and dissemination of innovative, integrated geo-technologies in the areas of sub-surface imaging, characterisation and engineering for cost effective and ecologically sound utilisation of the subsurface. CTG has committed itself to the integration of the applied geosciences. Integration is both important and necessary because of the increasing use of the subsurface. This is particularly true for densely populated countries such as The Netherlands. It is essential that increasing utilisation is based on responsible subsurface management in its broadest sense, embracing the social-economic exploitation of geo-energy, groundwater and the subsurface, integrated with responsible management of geo-hazards and care for the geo-environment. A strong technical geo-scientific infrastructure is essential for responsible subsurface management. Responsible dynamic management of geo-processes can only be successful with real integration of the participating geo-disciplines. CTG integrates the important segment of the geosciences which is developing and applying scientific techniques aimed at technological innovation. The groups within CTG are studying measuring techniques for determining the parameters of the subsurface, incorporating these parameters into quantitative models and using these models to make predictions on how to control and manage geo-processes.